I recently had a very unhelpful experience from an Aussie Quilt Shop.I won’t go into details, suffice it to say that I took my business online and overseas instead of making the 1.5 hour round trip to see if they had the fabric that the woman on the phone in the shop wouldn’t go and check the shelf for. 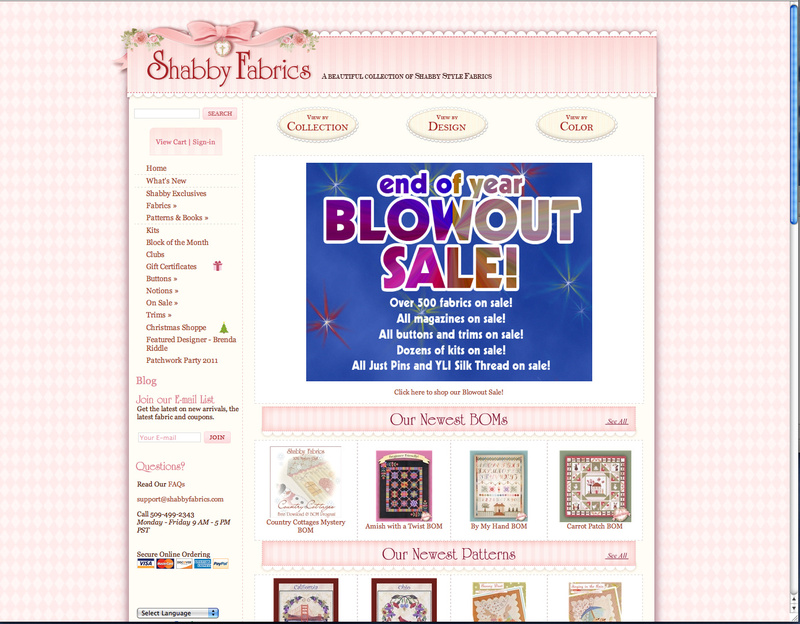 Yesterday I found an online quilt shop I hadn’t visited before called Shabby Fabrics. I saw some fabrics I liked and also found that they shipped for $14 for the first $100. I bought the fabrics – most of which were on sale – and paid through Paypal. Then I saw they had a Facebook page and so I had a look and found out that they had a special on and if I had put JINGLE in the coupon section I would have got 15% off. So I wrote to them saying what had happened. They wrote back immediately saying they had refunded me the 15%! That’s great service! Thank you Shabby Fabrics. Hooray for great customer service! Nice to hear that it still alive and well in some places. I recently had a wonderful customer service experience with Berroco yarns. Now I’m off to check out Shabby Fabrics! And in turn, I hope their customer service pays off for them! Word-of-mouth from service goes far — actually, so does bad service — I’ve “liked” Shabby on FB and have been browsing their site. That lady will be wondering next why no one is shopping at her store. It’s all about customer service, isn’t it. That’s fantastic! Hurray for wonderful customer service! That really paid off for them because I’m looking into them now too. Thanks.